A very short and sweet Post. But this card is not as simple as you see. It has a lovely twist to it. 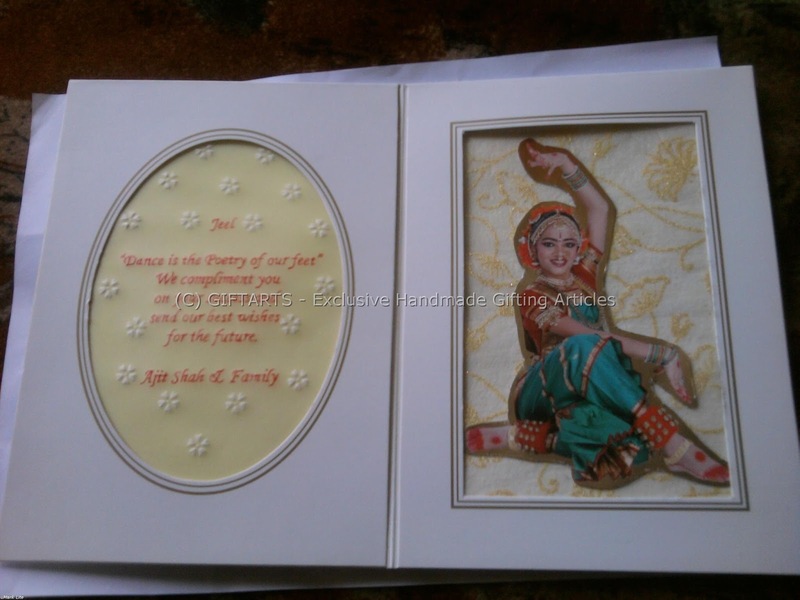 This card can also be used as a Photo Frame. This is so beautiful. 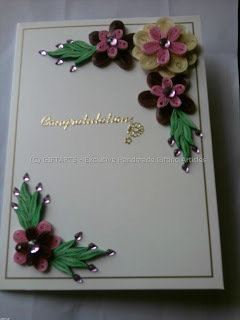 I would have to use a double sided frame, in order to preserve your beautiful quilling. I'm sure she will have a hard time choosing which side to display. Very pretty and very very classy!! love the idea of doubling it up as a frame!! I'm sure she'll love it! 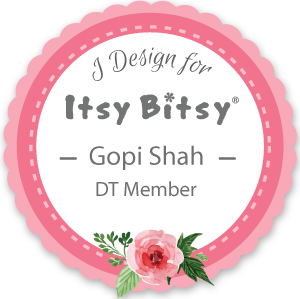 This is very pretty Gopi, thank you for letting me know about theBling It On win! I appreciate it. Very pretty n smart idea. GIFTARTS - Gopi Shah. Picture Window theme. Theme images by Roofoo. Powered by Blogger.